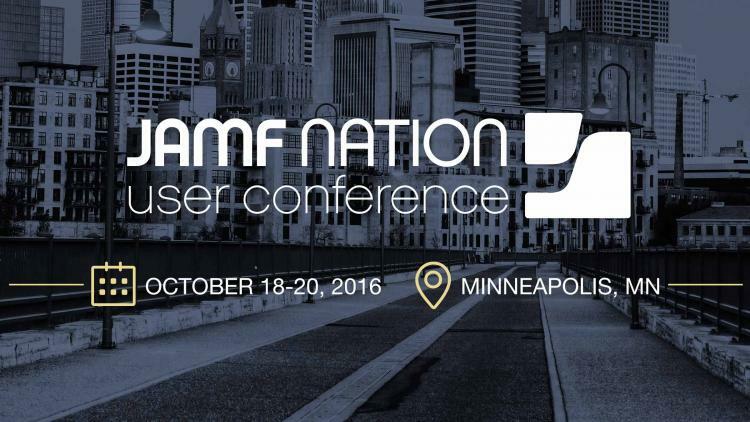 The countdown is on as we near the July 13 deadline for Early Bird JAMF Nation User Conference (JNUC) pricing. In case you haven’t heard, we’re hosting the world’s largest gathering of Apple IT admins and want you to join—at a reduced price, of course. The JNUC offers an array of community and JAMF-led sessions, all designed to help you get the most out of your Mac, iPad and iPhone devices. One session creating substantial buzz is an update to last year’s show-stopping Mac@IBM presentation. Attendees of the 2016 JNUC will have a front row seat as members of the Mac@IBM engineering team explain how they’ve deployed tens of thousands of Macs to IBM employees. You’ll take a peek under the hood at the technical thought process, the challenges they encountered and learn how you too can deliver a great Mac user experience at scale. But the JNUC is not only about large-scale, enterprise rollouts. If you’re in education, you will not want to miss the session on Apple School Manager and the Classroom app. Discover how your school can greatly simplify the process of device enrollment, app deployment, classroom configuration and Apple ID management. So, if spending a few days discussing new and better ways to manage Apple devices is right up your alley, we encourage you to register before the prices go up on July 14. And, if your boss needs more of an incentive than saving the budget hundreds of dollars, we’ve crafted a letter that highlights the unparalleled training and IT expertise the JNUC offers. Simply fill in the blanks and email or hand it over.